When I first watched the trailer of Gravity, I remember agreeing with a friend that either this movie would be awesomeshizzles or it'd be the biggest let down in recent times. This movie is what you get when you put a producer(David Heyman) who has spent his entire production works on that weird-specsy Harry Potter series & a director(Alfonso Cuarón) who has worked on one of those Potter movies and also,is Mexican. The last time I remembered someone from Mexico, it was Corona ExtraGustavo 'Gus' Fring on Breaking Bad. No wait, oh yeah that's about it. The combination of such expertise results in a movie which is neither realistic nor a fantasy fiction of my dreams. I watched Gravity in 3D Atmos. My Facebook newsfeed was already flooded with people-I-call-my-friends yapping on & on about how amazingly Greek-Gods-of-this-movie was. Moreover, iMDb's millions of users have given it 8.7/10 star rating. Clearly, I was thrilled like a teenager in a rock concert to watch this movie. I remember cleaning my 3D glasses with a special soft cloth before the movie multiple times until it was more hygienic than those germs-free floors they show on Dettol's commercial, just so that I could completely submerge in this outer space uber-duber-cool sounding movie. 1. The movie had practically no storyline. We spend 90 minutes watching Sandra Bullock being a stupid female who has a constipated face as she has in all her other movies. We watch her character Ryan Stone fighting off so many space debris, it was almost as if the space was taking out their anger on her for becoming an astronaut. If Newton was watching this in his grave, he was probably thanking the Gods that there was no gravity in space & probably tweeted "LOL. Stupid blonde". 2. As long as George Clooney was the Looney Toon(Clooney-Looneyyy.Get it?Get it? Get it? Okay nevermind otherwise) in the movie, there was still a reason to watch the movie. The moment his character is off, you pretty much have every reason to snore away in the remainder of the movie. It gets a little depressing to watch Bullock attempting to be smart,and then turning suicidal but then becoming the Bruce Willis of the movie. 3. I love the effects, I love the mini-ride to space this movie gives you. It's like the child in you is going "woahhhhhhh...soooo cooooool...I feel like I'm floatingggggg..wooooohoooooo...weeeeheeeee..heeeehaawwwww". Yes yes, all very good. But if you're rating a movie amazing on the basis of its audio-visual treat, then I hate to burst your bubble, but I think they made a Science Centre for that reason where you can do this drifting-into-space(literally). Not sure about other countries, but at least in Singapore, we have Singapore Science Centre where there's a an omni-theatre in which they give you a ride to outer-space & even show you the various star constellations. I think I'd prefer that to watching this absurdly abstract movie. 4. The cliched racist jokes on Chinese when she's to interact with a Chinese Satellite & they don't know a word of English and the WhitesvsAsian stereotypical mockery was as redundant as Justin Bieber pouncing on every chance to show his body in a desperate attempt to prove that he's not gay. Seriously? SERIOUSLY? Seriously. 5. The ending. My goodness. The fact that she miraculously survived this brought tears to my eyes,but not of joy but rather the degree of ridicule it possessed. Given the kind of logic they were trying to go with in the movie, there is no way in hell she could've survived, especially given her stupidity. ESPECIALLY. I remember in the middle of the movie, one of my friends actually got up to go & attend nature's call. When he came back 5 minutes later, the movie was exactly where he left off. I can never forget the disappointment on his face, as much as I can't remember watching the movie itself with any interest. The movie should be applauded for its digital effects, its cinematography. However, if you want me to say this was cinematic brilliance? That this movie deserves a standing ovation? Well then, you're probably a teenager who is yet to watch enough movies to make a sensible judgment, hence I forgive you. The story isn't gripping enough to make it a must-watch. Emmanuel Lubezki did a commendable job in providing you with the closest-possible experience of outer space. I'd even give a round of slow-claps to Alfonso for smartly directing the moves of astronauts, it isn't easy & all-constipation-aside, Bullock & Clooney did a great job behaving like they're in space. I can only imagine all the hardwork that went in choreographing the moves. If only he paid a little more attention to Bullock's expressions. Smart Direction, Weak Editing, Impressive Cinematography, Let-down Screenplay & a Well-Suited Background Score. It's a decent watch for those who dig 3D effects & animation. Otherwise, not exactly the movie you can't live without watching. Don't mind me giving this post a public reply. And in bullet points, because I think I make more sense that way. 1. You cannot separate the plot from the screenplay from the effects from the set design from the characterisation when doing a movie review. I personally think it doesn't do justice to the movie. 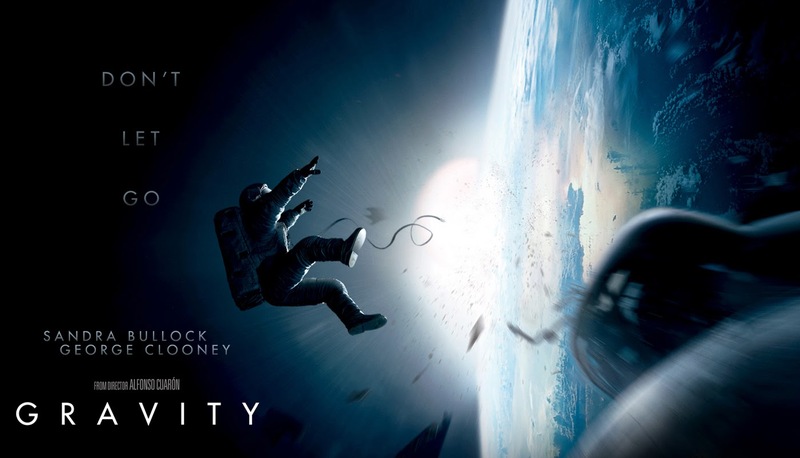 If that were the case, it would be a targeted review of this kind - http://www.slate.com/blogs/bad_astronomy/2013/10/04/ba_movie_review_gravity.html - where just the physics of the movie are reviewed. 2. The movie HAS a story. It's not a strong one, but it's one that carries the film through. It's skeletal and it's enough for what is needed. Space debris out to kill you, is all there is. Yes, it cannot match TDK in complexity, but I think a simple plot can also work well. Lost in Translation is one example! 4. It wasn't the Chinese space station she was communicating with, she caught a signal from Earth. One of those radio enthusiasts who make ham radios for the AM frequency. So there's a high chance such a signal is not in English, or doesn't understand her plight. That's also why there was a baby crying, the signal was from Earth. 5. But if you meant "interact" as in interact with the controls inside that Chinese module, then even that too is portrayed accurately. Chinese spacecrafts have all labels in Chinese. 6. Her turning suicidal is understandable at that point, that was fleshed out quite well. 7. The other IMAX movies are never this good. Trust me. Trust me because you know I'd watch those, haha. There's a marked difference in Gravity and those expository films, and it's not just the presence of characters. Those films are ever this well-shot and well-thought. 8. Last point--yea, I agree that her surviving is almost pushing the boundaries of probability. BUT. It does stand that there was nothing preventing that from happening. Not physics, not the story, not her stupidity, as you say. Nothing in the movie suggests it was impossible, just implausible only. But that's what movies do right? Show us improbable but possible scenarios. Space - deep space, open space, free-moving space, tight and cramped spaces, the absence of pre-set up and down. What it means to be Human - a lone survivor in the deepest abyss ever, trying to find her way back to where she belongs. and also, I think the film makes it very clear to us that the planet and us, we have an intimate relationship. the planet is an intrinsic part of our identity, what does it mean to be a human away from Earth? It's a deep film which does a great deal using both visuals and themes, and I appreciate it for that. Hola Varun! I know I'm a little late, but here's the reply to your pointers. 1. Everyone has their own perspective, their own taste in movies. And I absolutely agree that you cannot separate the plot from the screenplay,the effects, the background score etc. Precisely why I felt the movie didn't work well for me as a whole. Same way how some James Bond movies are legendary while others are just meh. It's not always about the action,but the package as a whole. 2. The movie had a story,but that's what every movie *supposedly* has,or should have at least. This one wasn't gripping enough in my opinion. My reviews are my perspectives on the movies I've watched. This story might have worked for you,but to me,it was boring. Originality doesn't always mean that it's creative genius. Likewise, I agree that a plot doesn't have to be complex to be gripping, I've loved simple movies as well. A Beautiful Mind, The Pursuit of Happyness, It's a Wonderful Life to name a few. Of recent times, I loved Perks of Being a Wallflower & Silver Lining Playbook. 3. Yes, I made a grammar error there in the rush to write this review. Will rectify it as soon as I finish replying to your comment. Also, you take my words too seriously child. It's humour. I understood the logic, don't get emo now. 6. Her turning suicidal was expected, the way she portrayed wasn't powerful but rather hysterical for me. It was depressing in the sense that I wanted to walk out of the theatre. 7. I haven't watched any movie in IMAX yet (I know right?I should just go jump down the building). But I'll give it to you,I believe you if you say this is amazing in IMAX. 8. My issue wasn't that she survived, my issue is that assuming the directors are going for an as-close-to-reality type of story, they should've shown her dying instead of surviving. A movie is as good as its ending. And if the ending isn't impactful, you take away nothing but a ticket with punched hole from the theatre(because that's also the only thing GV allows you to take). I agree there were bigger themes the movie was playing along,hence setting my expectations higher than ever. Somehow, the entire deal didn't strike well with me. It amused me for the first 15-20 minutes, and then it was all downhill from there. I was bored to death. 2 characters keeping a movie intriguing for 90 minutes - that does require for some screenplay with substance. The story IS there. P.S: If you think, story is what provides the highest kick to the audience, then try watching PRIMER and let me know your views. Apologies for such a late reply! Been a little busy. Having studied literature, television & radio production, I say this with a decent background knowledge, any movie has three sections - setting up, crisis, climax(resolution). On this note, I would firstly improvise on the setting up of the storyline better. Whilst space-enthusiast & sci-fi geeks caught on to the rhythm of the movie within a snap of fingers, for the rest of us normal people, it was a little tough to grasp on what's going on in the space. Perhaps before the movie started and after the disclaimer, I'd have a brief intro,like a 101 Space Lessons for the audience to read so that they don't feel lost. Alternatively, the exchange of dialogues between the lead protagonists could've been made clearer(both in terms of audio & dialogues). Secondly, I would have my lead protagonist act better in some of the scenes while also giving her more dialogues. If not dialogues, a background narration in her voice to explain to the audience her thoughts. At times you're lost wondering what the heck just happened. Like I said earlier, not all of us as space enthusiasts, so we are clueless onto what and how happens what in space. Thirdly, I would make the pace of the movie faster. If they had to show that she survived, they could've shown that half an hour earlier & showed the last half an hour on how she deals with life on earth post-traumatic experience. Though I personally feel she couldn't have survived but assuming she did, what are the chances she landed somewhere near civilizations? We see that she was in water,near what-seems-to-be-a-deserted-island. Perhaps they could've shown if she finally managed to have some communication with people on earth, and if so,how? On the flipside, they could've also shown she died trying so hard to get out of space. Which would've made more sense.